Two of our favorites, Joseph Arthur and Greg Dulli (Afghan Whigs), recently got together (again) for a One On One session and performed Take Me Home from Arthur’s Let’s Just Be album. 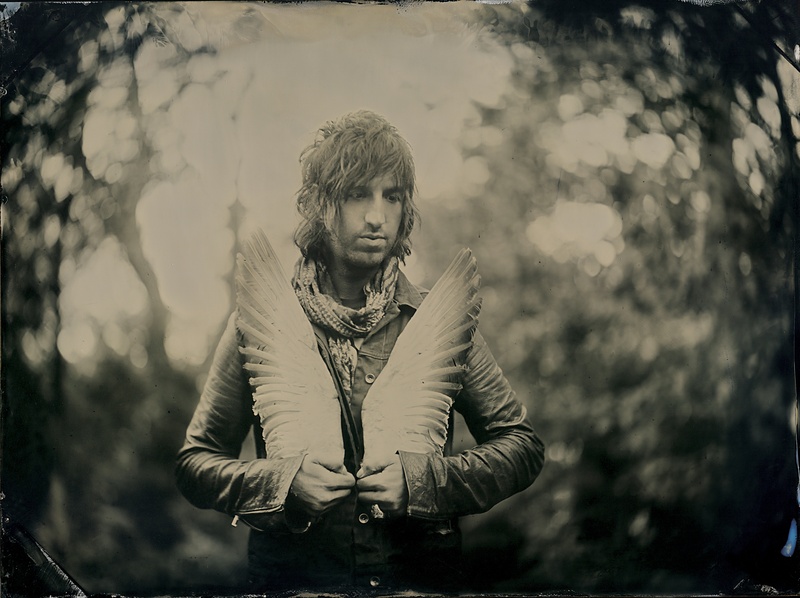 The song was co-written with the Lonely Astronaut’s Kraig Jarret Johnson (Golden Smog, Jayhawks). Watch below as Arthur hits all the right vocal notes while Dulli devastates on keys last month in Brooklyn. It’ll take you home on a Monday. The song’s lyrics follow the video. Watch below as Crackerfarm captures Seth Avett performing song-crafty Brandi Carlisle’s Save Part of Yourself on the High Line in NYC, all the while un-apprehended by passersby. 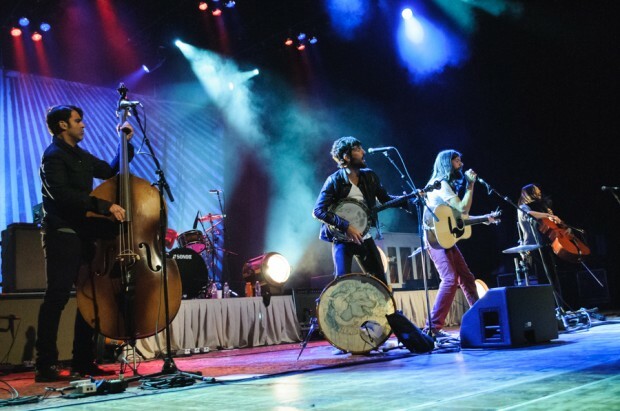 Seth and the rest of The Avett Brothers bring their lively and lovely onslaught to the Santa Barbara Bowl on October 10th. 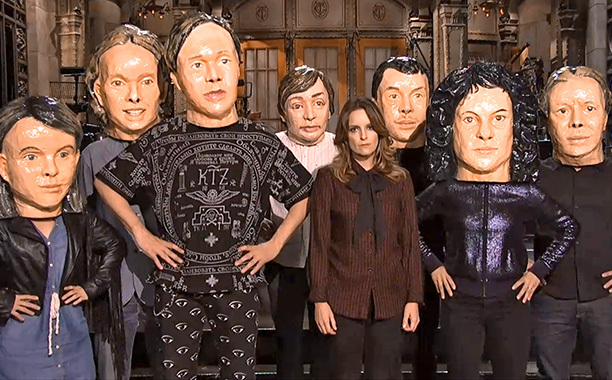 Arcade Fire made their way to NYC last night and performed on the season premiere of Saturday Night Live. With the band about to release their new album Reflector, anticipation was running high for the performance. Watch below as the band is joined by saxophone colossus Colin Stetson for the album’s title song along with new track Afterlife. Following SNL, the band was featured in a special 30-minute special entitled Here Comes the Night Time, some of which was taken from recent shows in Montreal. The film also featured an array of skits featuring Bono, Rainn Wilson, Bill Hader, Zach Galifianakis, Aziz Ansari, Ben Stiller, James Franco, and Michael Cera. In the film, the band debuted three more new songs: Here Comes The Night Time, We Exist, and Normal Person. Check out all below in the order discussed above. It’s been a long, long time, but we still recall being wowed a time or two in the mid-70s by Jerry Jeff Walker at the Santa Barbara County Bowl (before the “County” was excised). Walker wrote many song chestnuts, including Mr. Bojangles, but where his shows came alive was towards the end when he would break out cunning covers of songs, but in particular super songwriter Guy Clark’s LA Freeway. If there was anything Central Coast folks desired, it was to stay off of LA’s freeways, and Jerry Jeff always delivered it with his trademark gruff-verve. We’re new-found fans of Rose Cousins (and now Jordie Lane), so watch below as they gamely cover LA Freeway at a country-lane pace. Afterwards, check out Walker performing the song on the Dinah Shore Show, of all places. The song’s lyrics are at bottom. Let’s say it’s Friday. Let’s say it’s mid-afternoon. And let’s say you’re wanting something musical to enhance your post-lunch catatonia as you prepare to prepare for the weekend and semi-mindlessly push the balls into other people’s courts to ruin/make their weekends. 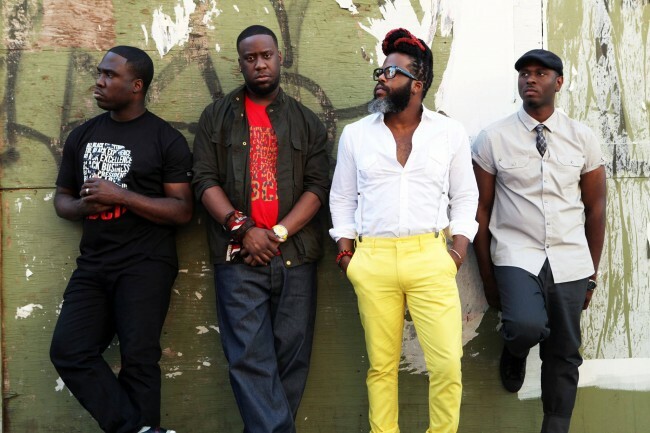 And let’s say the perfect soundtrack is a song performed by the The Robert Glasper Experiment, which attempts to bridge the gaps between electronica, indie, rap, soul, pop and jazz music (emphasis on the latter). No small feat, but said and done. Check out the band below via KEXP covering Smells Like Teen Spirit, and making it entirely their own. After check out I Can’t Help It and All Matter . Clearly our virulent vocoder-hate is abating. Somewhat. The band will soon release their new album Black Radio 2 (the cleverly-named follow-up to the prior Black Radio), which you can pre-order HERE. The impressive list of guest vocalists on the new album includes, amongst others, Macy Gray, Common, Jill Scott, Anthony Hamilton, Faith Evans, Norah Jones, Snoop Dogg, Lupe Fiasco, and Emeli Sandé. Bravo! 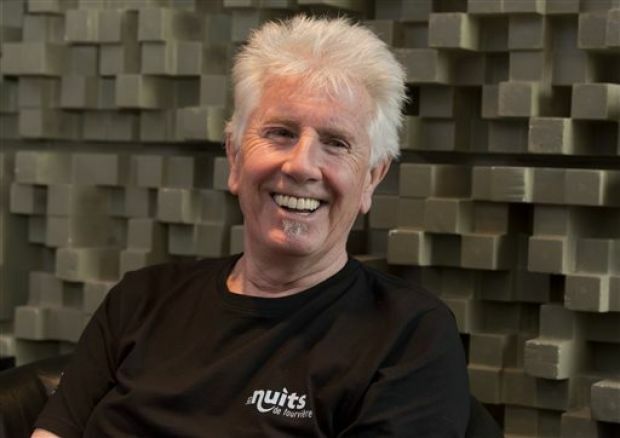 One of our long-time favorites, and ever the political activist, Graham Nash recently appeared on PBS to speak about his new memoir Wild Tales. 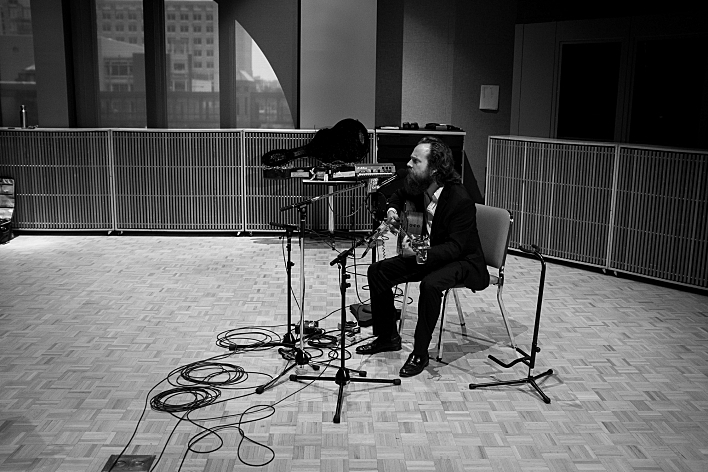 While there, Nash performed his song The Ballad for Bradley Manning (co-written with James Raymond) for PBS. Check it out below. The lyrics follow. 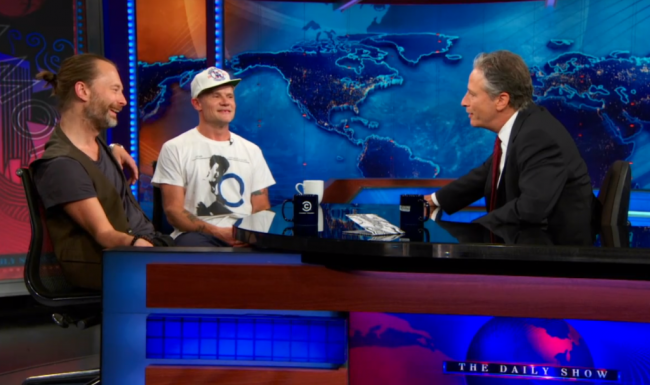 On their way to the Santa Barbara Bowl on October 17th, Atoms For Peace ran Amok on The Daily Show last night. Check out below as the band performed standout Default from Amok and (web-exclusive) Harrowdown Hill, from Yorke’s solo album The Eraser. At bottom, check out Stewart’s interview with Thom Yorke and Flea. Great stuff. We can’t wait for their return to Yorketown, California. 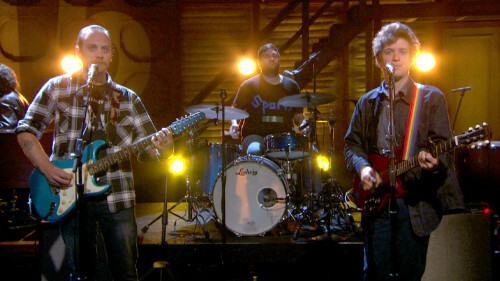 Having just watched Deer Tick’s performance of The Dream’s In The Ditch (off their just-released album Negativity) last night on Conan, we’re a tick confused. Enthralled and impressed, but still confused. Every time we’ve previously caught the band live they have blazed and swaggered across the stage somewhat akin to The Replacements of yore, and evinced none of the refinement and composure to be found on the Conan performance below. Like Mikey of yore, we gotta say: we like it! Deer Tick will soon hit the road in support of Negativity. The tour dates follow the performance below. They also play the UCLA Bruin Plaza today if you’re in the vicinity. And ferheavensake, go buy Negativity HERE. 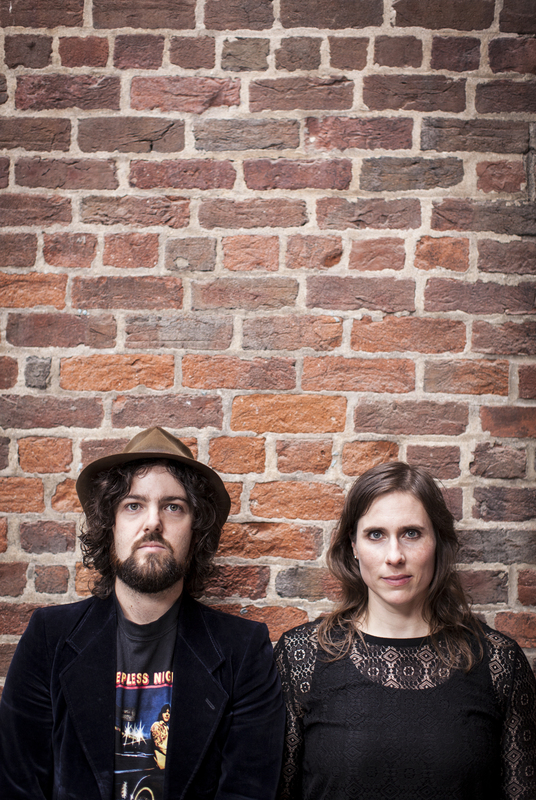 The recent album’s Grace For Saints and Ramblers follows. All courtesy of MPR’s The Current. The Avett Brothers will soon release their new Rick Rubin-produced album Magpie And The Dandelion (out October 15th). Last night they performed stentorian new song Another Is Waiting on the Jimmy Fallon Show. Watch below as the band provides yet another scintillating example why you simply cannot fail to catch them live, including on October 10th when they will grace the hallowed Santa Barbara Bowl (get your tickets HERE). Be there or be lost in the supermarket. After the Fallon video, check out the band’s lyric video for the song and an interview in which the band explains the song. Guessing the subject wasn’t Miley Cyrus.